Mellissa Reitz is at it again – in her article entitled “Minister’s plans a jumbo worry” – projecting animal rights propaganda as the gospel truth. It is because of the writings of people like Ms Reitz that the public is being purposefully disinformed about “conservation” truths. Propaganda is: “The spreading of ideas, information or rumour for the purpose of promoting an ideal – or injuring an institution, cause or person – by any means true or false.” It has nothing to do with telling the truth. Ms Reitz’s attitude is a great pity because it is through honest journalism that the public can be best informed about the many vitally important and interesting “conservation” issues that are being enacted right before our eyes. She talks about the “alarm” (about the Minister’s decisions)” expressed by “many (so-called) conservationists” – another deception. She then repeats quotes from some of the most rabid animal rights NGOs on the planet. Animal rightists are NOT “conservationists”. Quite the contrary. A conservationist is someone who utilises living resources on a sustainable basis – which is the anti-thesis of everything the animal rightists advocate. Ms Reitz’s “experts”, therefore, are people who have just as much negative input to wildlife management affairs as can be expected from paedophiles and rapists on discussions about the abuse of women and children. The “sustainable use advocates” who believe that mankind does have a right to use animals (wild and domestic) provided the manner of his use thereof is sustainable and humane. NB: TRUE animal welfare organisations – whom the animal rightists abhor – agree with the sustainable use lobby. The animal rights doctrine is totally incompatible with the principles and practices of science-based “conservation” (a.k.a. “wildlife management”). It is also a fact that the animal rightists cannot achieve their objectives without violating the legitimate human rights of all humanity. THAT being the case there is no place in any civilised society for the animal rights doctrine. 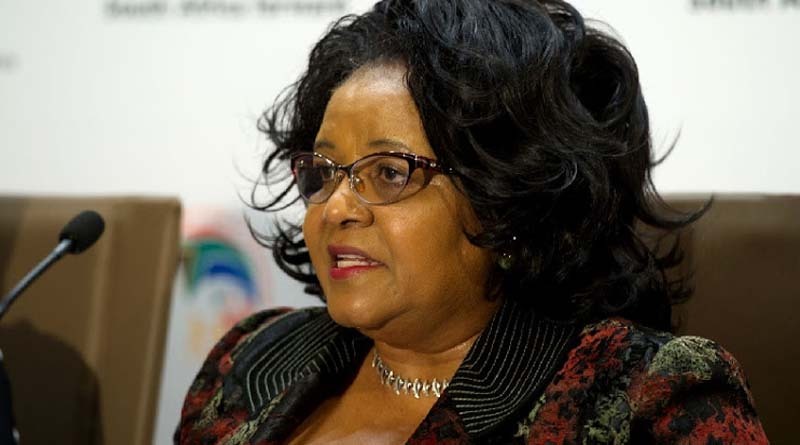 The animal rightists have now launched a focal attack on our Minister of Environmental Affairs – Ms. Edna Molewa – with the express purpose of forcing her to recant several of her recent ministerial decisions of which they disapprove. All the minister has been doing, however, is her job – and she has been doing it very well. Her job is to apply the provisions of South Africa’s National Conservation Strategy which is based upon the IUCN’s mission statement – called the World Conservation Strategy (1980) (WCS). (IUCN = International Union for the Conservation of Nature). The WCS stresses the need for utilizing the world’s “living resources” (domestic and wild), on a sustainable basis, for the benefit of mankind. In 1980, the WCS was celebrated by people and governments all over the world as being the “conservation blueprint” that would take both mankind and nature together, in symbiotic harmony, into posterity. And, in 1980, the responsible sovereign states of the world obligated themselves to model their National Conservation Strategies (NCSs) on the WCS template. South Africa was one of them. So, it is the abolitionists – the animal rightists – not those who believe in the sustainable utilization of “living resources” – who are out of step with reality. And the minister is very much “in step” with South Africa’s NCS in all its dimensions. Our Minister of Environmental Affairs – Ms Edna Molewa – is, in fact, doing a sterling job in the face of a great deal of totally irrational – AND UNTRUE – animal rights opposition. 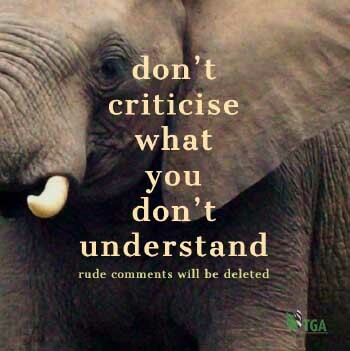 She must understand, however, that she has the full backing of all responsible South Africans – especially those in the country’s wildlife industry who are both her most severe critics AND her staunchest allies. And her South African proponents will stand by every reasonable and responsible decision she makes in the pursuance of her duties as Minister of the Environment. This leave us with the vexing question: Why are the animal rightist NGOs propagating distorted – and essentially untrue information – to the public? They are doing it to make money – hundreds of millions of US dollars annually – milked from a well-intentioned but purposefully disinformed and gullible First World public. And the bigger the controversies they can stir up, the more money do they make. Theirs is the biggest confidence industry the world has ever known. The public is warned, therefore, not to be taken in by their propaganda. Human beings have the duty to treat animals with due care and attention but animal rightists do not have the right to subjugate the rights of human beings for the sake of so-called animal rights.